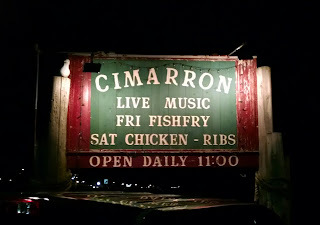 For my birthday, a friend took me to his favorite fish fry in the valley, Cimarron's of Menashsa. 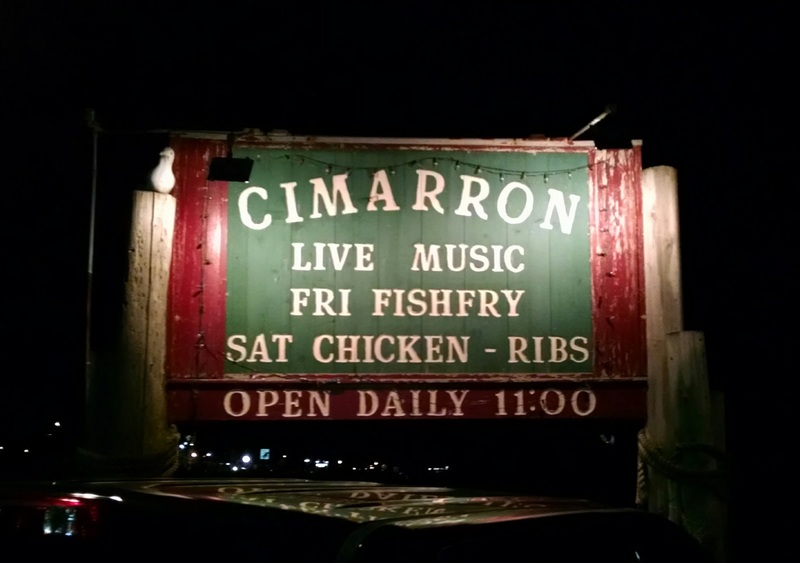 Cimarron's features a Friday Fish Fry with perch, bluegill, and several other fish options, and live music on Friday and Saturday nights. We arrived at 6:30PM and the parking lot was packed so we had to park in back, and I think I found one of the last spots available. The building is very unassuming and attached to a motorsports shop. 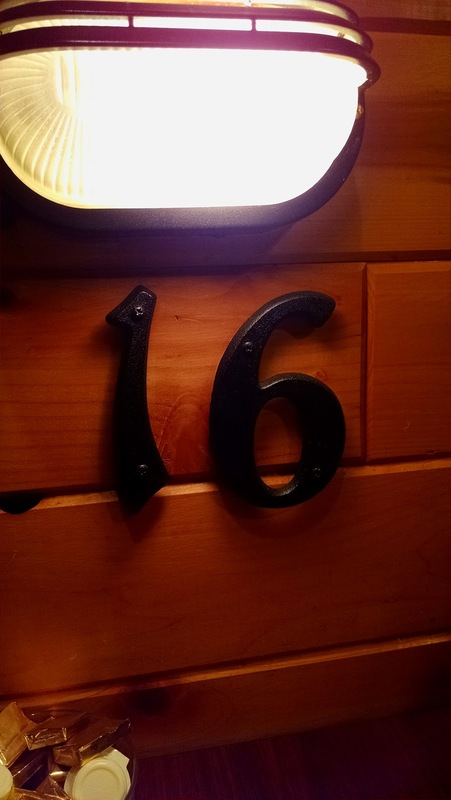 Once inside, we walked through a narrow hallway to the dining area to register for our table of 2. Then we made our way back to the bar to get some brandy old fashioneds. I wasn't impressed with the way the drink was made, some ice in a medium size glass, some brandy (I always request Korbel), some soda, and some old fashioned mix poured over the top. I suppose the lemon garnish made the drink come together. 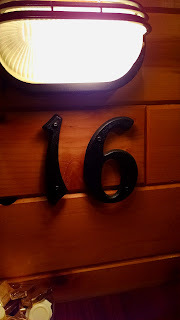 Despite the extremely busy parking lot, the bar wasn't overly crowded and we were called to our table within 20 minutes; table 16. 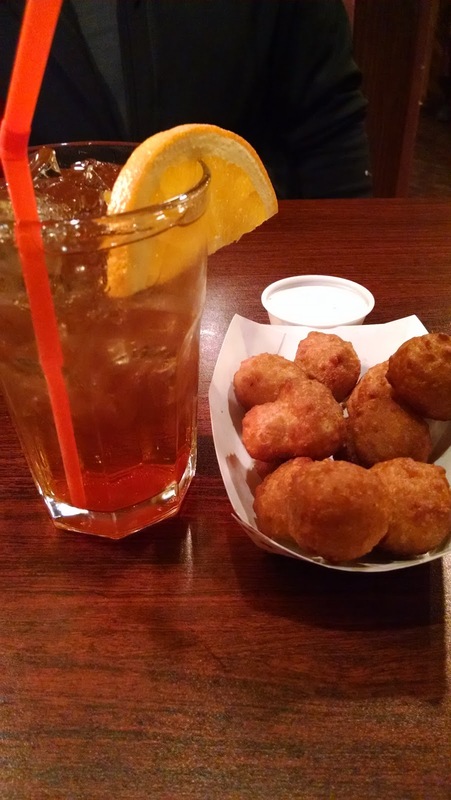 At our table we ordered an appetizer of deep fried mushrooms along with our entree order. The mushrooms were perfectly cooked and a great snack before our meal arrived. It didn't take long for our entrees to arrive nice and hot. I got the double perch, which included 5 full perch. The perch was good with a light batter that wasn't overly crispy but had a great texture. The homemade potato salad was decent, maybe could be a little thicker for my taste. 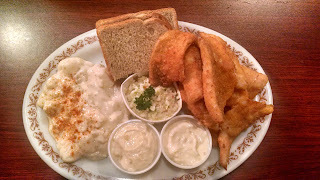 The cole slaw was also good, and the meal was topped off with a light rye bread, but no raw onion. My birthday dinner turned out to be tasty and in good company. 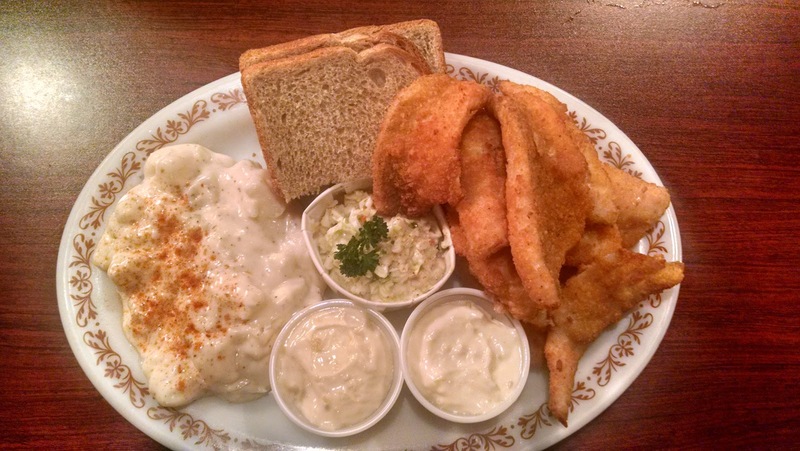 Cimarron is an excellent choice for a Classic Wisconsin Fish Fry in the Fox Valley, definitely worth a visit. Live music starts later in the evening, so go later for dinner and stay for the music.